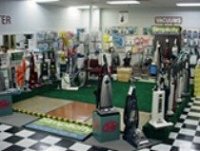 Carolina Sew-n-Vac Center is a family owned and operated business that has been serving the Raleigh-Durham-Chapel Hill area since 1987. When we started the business, over twenty-five years ago, we adopted the motto . Today, we continue to offer our customers a wide variety of top-of-the-line quilting supplies, sewing machines and vacuums, along with exceptional service. In fact, around here, we believe that the products we sell are only as good as the service we offer after the purchase. While our name has been imitated over the years, our prompt, attentive service and friendly shop atmosphere will never be duplicated…that’s our promise to you!